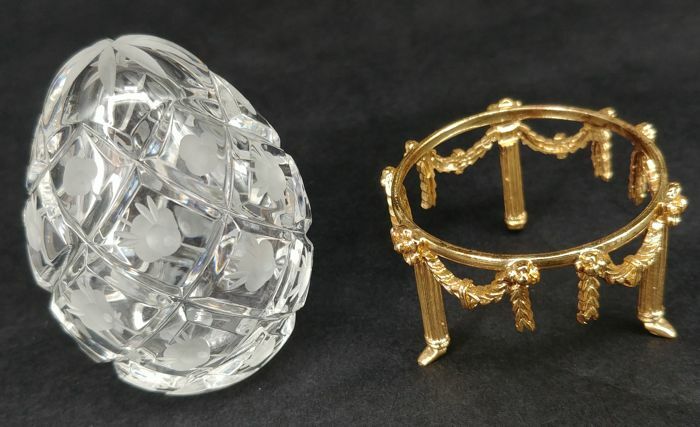 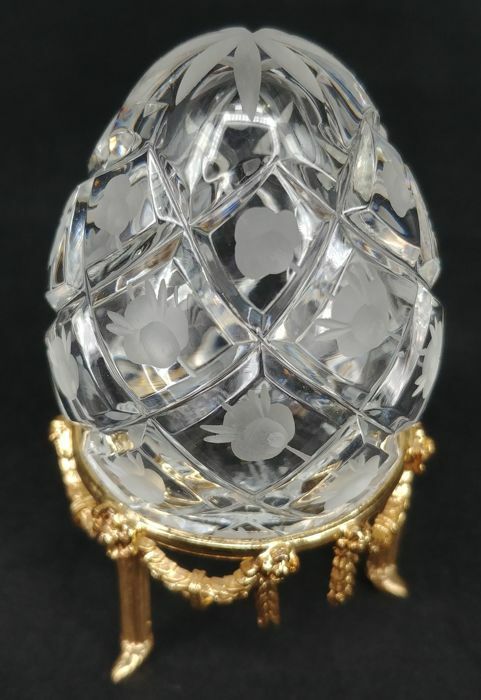 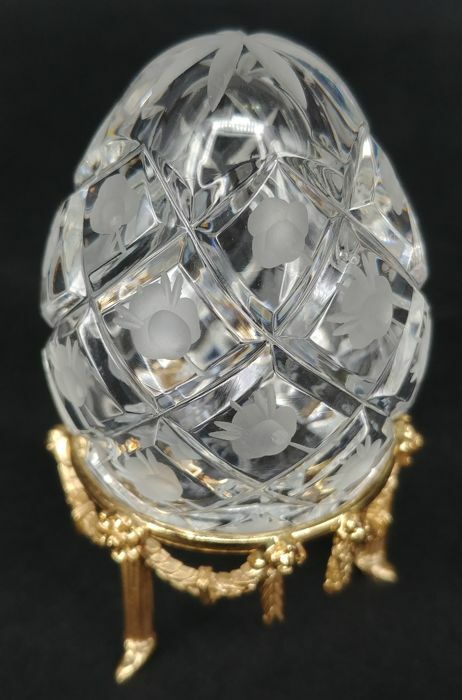 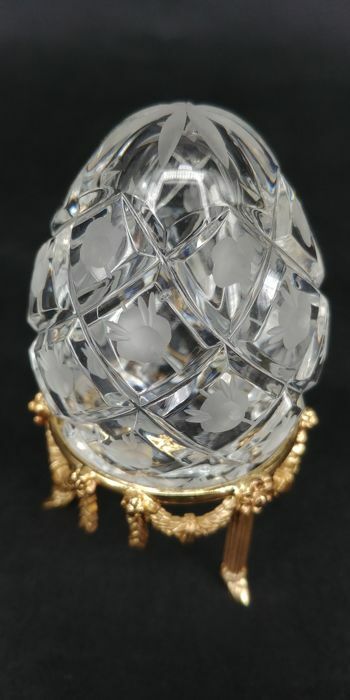 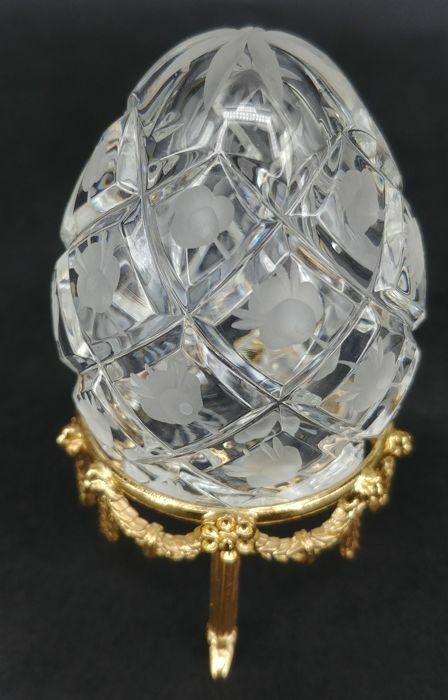 Authentic Fabergé rose trellis crystal egg. 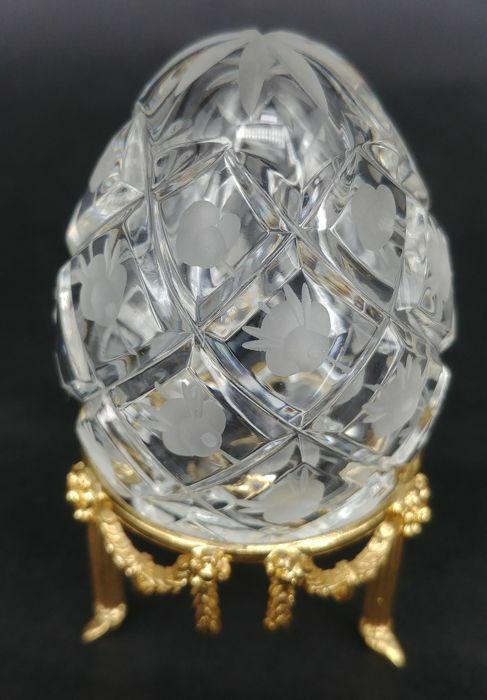 About 2.5 inches tall, signed Fabergé and numbered 4733. with ornate goldtone metal stand. 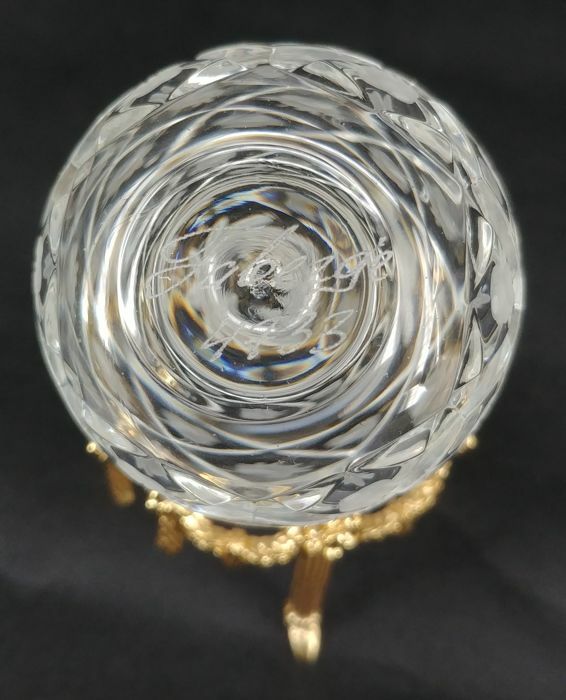 Overall height including stand is approx 3.25 inches. 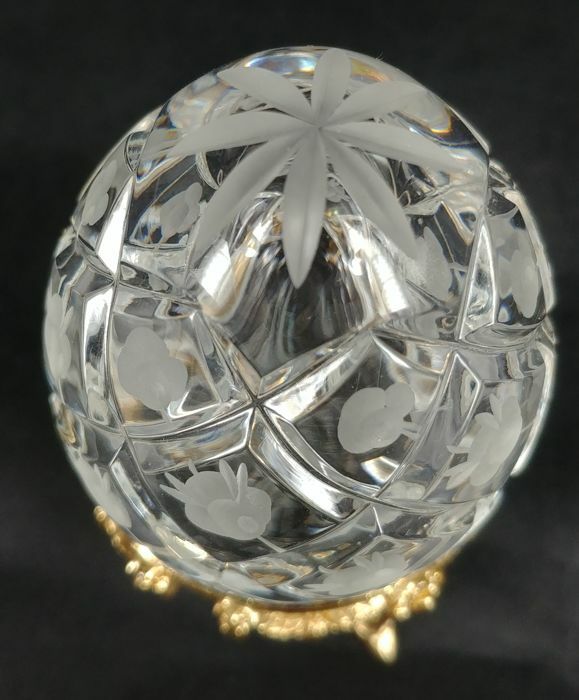 Etched rose pattern with etched star on top.